Cloud computing is a general term for anything that involves delivering hosted services or data storage over the Internet. 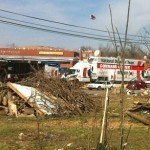 On any given day the weather or other natural disasters can present your business or organization with disruptions. A WLAN provides wireless network communication over short distances using radio signals instead of traditional network cabling. Enterprise US offers you video conferencing solutions that can help your team stay in contact from wherever they are. 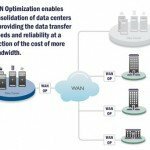 WAN Optimization & the Software Defined WAN maximize data transfer efficiencies by using methods like compressing data as it moves onto and off the WAN. IP Telephony, also known as voice over IP (VoIP) is supplanting traditional PBX business phone systems for business voice communications. Enterprises have evolved their communications and information infrastructure moving from analog TDM phones to networked systems and IP telephony. eUS managed IT services gives you access to network and communication features for less than the cost of maintaining you own internal systems. The eUS team is focused on our continuous mission of providing emerging technologies and services to our clients. We are highly credentialed, vibrant, forward-thinking, visionaries who execute and are excited about the future. This passion has persisted through our 20-year history and it’s not stopping. Since 1998 customers are still trusting us today to keep their business operational. Our customers keep investing in us because of our known excellence for well-managed projects, implementation of disruptive technologies, and seamlessly efficient change transitions. Look to us for your technology future. They gain a competitive advantage in the changing global marketplace. This is done with with solutions that are flexible and that scale up as needed. They provide adaptable and affordable communications and workflow architecture. Real savings are seen by clients in telecommunications management costs. Our clients experience improved employee productivity and efficiency as a result of our solutions and consulting. Organizations who use our services and solutions see tangible improvements in customer service and call interaction. This is achieved through better call management and routing tools. Today we carry many devices to conduct our business affairs and lives. 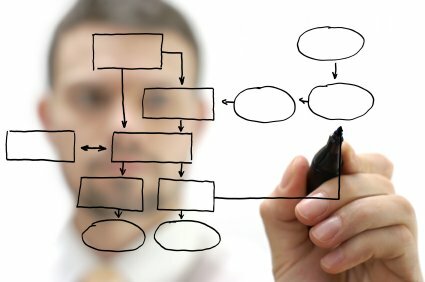 Businesses and organizations have always used many systems to communicate. These have gone from traditional desk telephones, cell phones and e-mail to now include instant messaging, conference calls, webinars, faxes and more. We are the premier provider of unified solutions that are designed to address all of your communication needs in a custom solution. For many years we have provided Information Technology services and enterprise-enhancing communications solutions. Our clients benefit from the access to our engineering team’s vast knowledge and experience. We have assisted them in developing and deploying several of the largest workflow solution implementations in the nation. These implementations enable our clients organizations to customize the information flow and task assignments throughout the entire enterprise. Additional workflow solutions offered by eUS provide real-time management of all enterprise connectivity including. 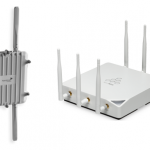 These include WANs, WLANs, LANs, Internet, remote office and any enterprise node. regardless of your carrier, mode of connectivity, protocol or location. We can help you create an integrated, secure, easy to use workplace collaboration ecosystem using Cisco Spark devices and Cisco’s Cloud based data infrastructure. The centerpiece of this collaboration environment can be the new wireless digital whiteboard with audio/video conferencing: The Cisco Spark Board 55. 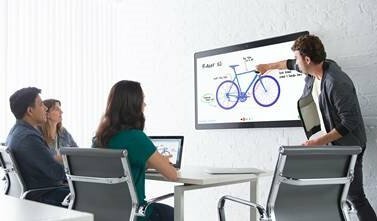 This purpose designed digital whiteboard incorporates and supports the entire series of Cisco Spark services and technologies. The Cisco Spark Board 55 connects and engages meeting participants with the integrated audio, video and touch technology. This interactive whiteboard technology increases the engagement level of the participants and helps shrink the “social distance” remote workers or teams can feel. This piece speaks to the benefits of videoconferencing to enhance the communication between participants as context cues and emotional reactions can be seen. See the Spark Board 55 data sheet here. Registration to the Cisco® Collaboration Cloud: The Cisco Spark Board is the latest addition to the portfolio of Cisco Spark video and audio conferencing devices which register to the Cisco Collaboration Cloud. This common data infrastructure for the collaboration workspace makes each of these devices and connections more valuable. As a result, the benefits to be reaped by implementing Cisco Spark conferencing devices and the Cisco Collaboration Cloud are quickly seen and can be significant. Some background on the Cisco Collaboration Cloud can be seen here. We have assisted several firms and organizations implementing Cisco Collaboration Cloud devices and systems. Contact us to discuss how we can help you. Enterprise US can implement computing and storage solutions that meet your growing data and application needs and save you money. Read more about computing and storage solutions here. Enterprise US has helped our clients get the benefits of this amazing technology. Virtualization helps by allowing much more computing to take place on file servers. Read more virtualization solutions here. Our firm can consult with you and implement solutions to help you to prepare to get through disruptions and disasters that come along. Read more about security and disaster recovery issues here. We can help you evaluate how a cloud based solution for voice, data or applications will serve your operation. 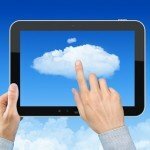 Read more cloud services information here. Our experience can assist you in learning the benefits of this power saving, cost saving approach to enterprise computing and communications. Read more about the unified data center benefits here. Our staff has extensive design and implementation experience in the important area of security in networking. We can also help you develop your own Cyber Security Framework. This process will result in documented steps and expectations regarding all aspects of information handling. Read more about networking and security solutions here. We are certified in SonicWall Cyber Security Products which offer a complete suite of tools and services to monitor and protect your vital business networks and data. Read more about SonicWall solutions here. Enterprise Unified Solutions has designed and implemented many wireless networking solutions in challenging environments. Read more wireless LAN information here. Our WAN OP work has helped many clients double the amount of data through-put on their WAN and other network data connections. This includes such important functions as off-site backups or data moved between data silos. Read more about WAN OP here. 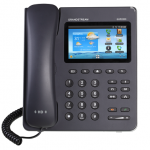 We are specialists in office and business VoIP phone phone systems and their complex implementations. We give our clients the benefits of our many years of experience moving from traditional PBX based to VoIP and cloud based voice solutions. More Business phone systems information is here. Unified is our middle name. We help firms and organizations gain the benefits of a single in box for all of their electronic communications. Read more about unified communications solutions here. We provide the full range of services and products for a successful 3CX implementation. Part of this information is described on the Unified Communications page and many of the 3CX phone products can be seen here. We can most easily support 3CX onsite in Indiana, Ohio, Kentucky, Michigan and Illinois. Remote support via phone and screen sharing etc. is obviously not limited by geography. Get your free trial of 3CX here. Enterprise Unified Solutions is experienced in the design and implementation of Session Initiation Protocol (SIP Trunking) solutions. This has allowed our clients the associated benefits of SIP for voice, data, unified communications, white boarding and other streaming media applications. 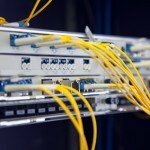 Read more about SIP trunking here. Enterprise US works with industry leading telepresence and video conferencing hardware and software to help you enhance collaboration. In this way, clients benefit from bringing employees, customers, stakeholders etc. together no matter where in the world they are. 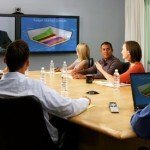 See more about video conferencing solutions here. Enterprise US provides a vast amount of experience and knowledge to your implementation of a single in box for all of your voice-mail, email, fax communications. Read more about unified messaging here. Our staff has implemented many systems that give clients many benefits as we automate the functions of the business process. Clients see the benefits of this work as they save costs and reduce errors. More process automation information can be seen here. Our products offering and consulting services will serve to help you identify risks and threats. We then help you build out physical infrastructure and procedural requirements and guidelines. This is necessary to keep your operations online and going when things go badly. Read more about business continuity planning here. Enterprise US offers Managed IT services for local and wide area networking and voice communications (i.e. VoIP, IP-PBX). In addition to those critical areas of business, we help secure, update and maintain email and line of business applications. See more about managed IT services here. We can help you establish policies and systems to prevent hacking and virus’ infection of your email and networked resources. Read more about email security here. our relationship to another level." Copyright © 2019 Enterprise US. All rights reserved.